Survivalist Tip: I mentioned in a previous post that you should have hurricane lamps available in the aftermath of the apocalyptic upheaval. But, you’ll definitely need flashlights, too. Flashlights have been around for over a century and rank just below air conditioning and telephones as one of the greatest inventions of the past 200 hundred years. Flashlights, of course, are battery-powered; an essential feature, considering that utility companies will be rendered useless for some time. A flashlight, therefore, is critical as an alternative light source. It will help you search for food in the darkness, or surprise a member of your posse as they try to purloin more than their share of chocolate. 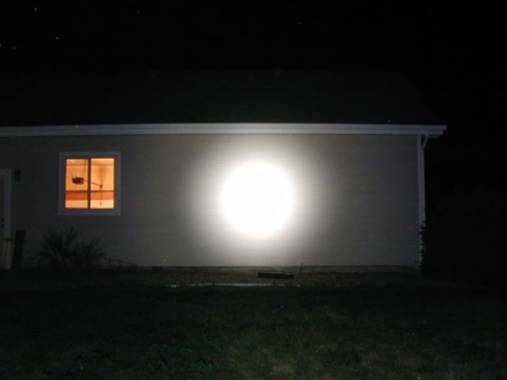 Make certain you have more than just one flashlight on hand, along with an ample supply of batteries. We don’t know how long power companies will be out of commission. Besides, flashlights aren’t just for illumination; they also make great defense weapons.